Driver Reviver is a PC driver update utility that will help you to identify out-of-date/obsolete drivers and safely update them in a few easy clicks from it's large and comprehensive drivers database. Driver Reviver ensures that it will always find the most recent drivers (from original manufacturer) for your PC and other hardware devices to restore optimum performance to your PC and its hardware. By keeping your drivers updated, you are ensuring that you continue receiving updates containing bug fixes, performance improvements, and potential new features from the manufacturer. Moreover, Installing the wrong Driver or malware could render your PC inoperable and potentially put you at risk. Driver Reviver ensures accurate detection and consistently delivers the correct drivers. 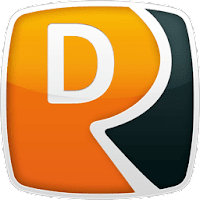 Disclaimer: Direct downloads for the lastest version of Driver Reviver 5.21.0.2 are provided by the official software's author, we can't guarantee safety, availability or download speed. Moreover, we don't and we won't provide any pirated/illegal versions or tools. We recommend you to avoid it as these methods can harm your device. If you like the software, buy it to support the developers. (We provide software discounts for many worldwide brands).